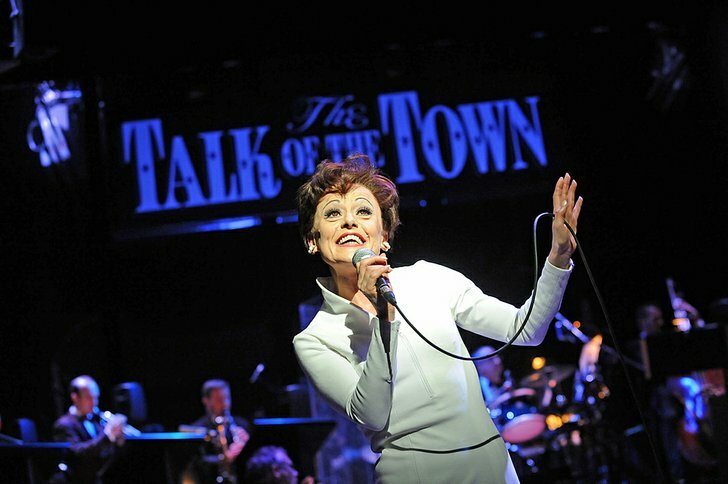 Went to see End of the Rainbow – a show that presents a performer named Tracie Bennett as Judy Garland. Needless to say, a whole contingent of Judy fans turned out to see this early preview. I’ll save my comments on the show for a couple of weeks. However: after the performance I stepped out of the theater, and on the sidewalk, just leaving, was a woman in her thirties. When she saw me, she put her hand to her mouth and tears sprang to her eyes. “My God,” she said to me, “you’re…John.” She proceeded to seem more than moved, as if she were watching either a golden Pacific sunset -or a Freeway accident. She was becoming terribly emotional. “Yes,” I confirmed, “And you are…?” But she simply shook her head and moved away, still seemingly affected by the sight of me. I can only assume this was because she recognized me from my photo in Heartbreaker, my Garland memoir (I was wearing the same cap as in the shot). It was both exhilarating and unnerving. 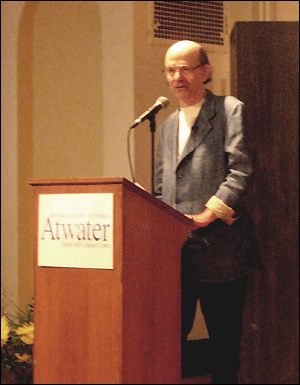 John Fricke hosted the screening at The Paley Center of four TV appearances Judy made in the late sixties. 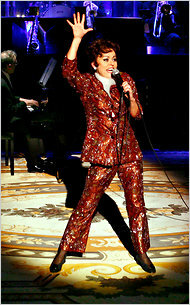 One of these was a Tonight Show where Judy sang my songs, It’s All For You and After the Holidays. John, to me, has become the principal Keeper of the Flame, and we are lucky to have someone who is not only vastly knowledgeable, but articulate in the most charming, non-pedantic, non-academic fashion. John, I applaud you. I hadn’t seen these shows in years, and though I remembered Judy’s rendition of Holidays as woeful; I was wrong, she sings it with great feeling and, though you can tell she’s short of breath and unable to sustain, in a curious way this helps the poignancy of the song. It adds another layer of vulnerability. But It’s All for You brings back a bittersweet memory. Because, initially, she ridiculed the song. It’s a hearfelt, sincere love song, but as I sang it to her, in the first days of our romance, she started laughing. In the middle of my passionate recital. “What’s so damned funny?” I asked her. “Oh, I was just thinking,” she said, “here he is, the young composer in love, and he wants to demonstrate his nn, grand passion. So he sits her down and he plays her the nn, absolute, worst song in the world. She made a joke of it, but I was a bit put off, as you may imagine. I was surprised, therefore, when, a week later, she asked if she could learn it. “It really has quite a nn, majestic quality,” she said. Judy needed to be shepherded and looked after, so we went everywhere as a couple. This changed when I got sick, felled by the Hong Kong flu, and was unable to help her through the preparations for this appearnce. I had to catch her performance from my sick-bed. This is where the bittersweet part comes in, for while she sang, she was in the process of switching her allegiance from me to Mickey Deans. But watching her yesterday, singing It’s All For You, I could still believe she was singing to me…and even more, it’s apparent from her hand gestures that she’s singing to you, the audience. And the song takes on a larger resonance; it becomes, in her rendition, a tribute to -and affirmation of- all the audiences, everywhere, who have applauded and supported her throughout her career, from the days in vaudeville right up to this moment. Yes, she’s telling them, it’s all for you.